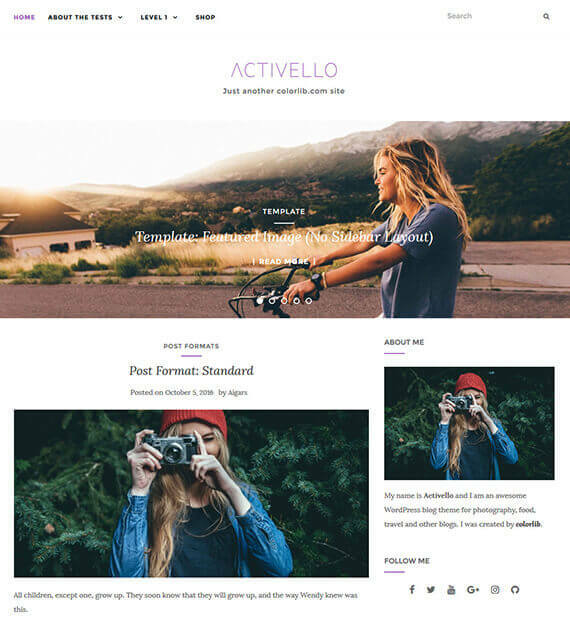 Clean, minimal and with premium look and feel, Activello as the name says it, is best-suited WordPress theme for active people! Fit for food, fashion, travel, lifestyle, sports or any type of site you own, Activello is a fully responsive and retina ready WordPress theme. What’s more awesome is that this theme is fully integrated with WooCommere, which means that you can create a fully functional eCommerce site without any trouble!